Can't decide between Spanish and Asian? That's so typical! 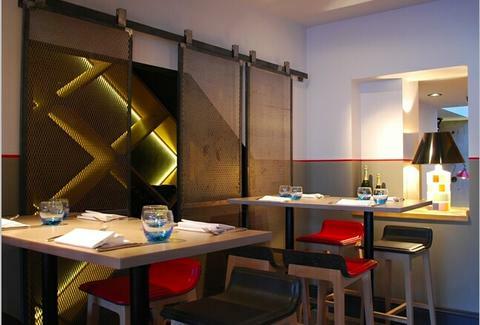 So why not have both, in Islington's Como3, whose slate floors support walls neatly divided into white & grey, and whose similarly bipolar menu sees pan-fried miso duck fillets & chicken gyozas meeting seabass ceviche & Iberian pork cheeks. The strange relationship is fully consummated in a way that would satisfy even the most canonical of marriages in dishes like scallop & crab dumplings w/ "wild mushroom cappuccino".